Burstbuckers are the most authentic PAF replicas Gibson offers. The magnets are not polished and the coils are not waxed, e. g. the '57 Classics. In addition, the coils are also unequally wound, because in the 50s the winding machines had no automatic end switch and the coils were wound "until they were full". Fully, means about 5,000 windings per coil, when the workers stopped the machines. 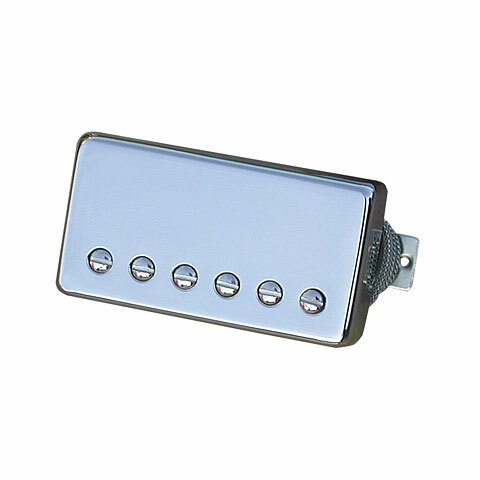 These unequal winding numbers resulted in slightly more "bite" in the affected pickups. The Burstbucker 2 corresponds approximately to the output of the '57 Classic. Looking for historically correct replacement parts? The Gibson Vintage series helps you find what what you are looking for. The program includes accesories and replacement hardware, electronic and plastic parts.